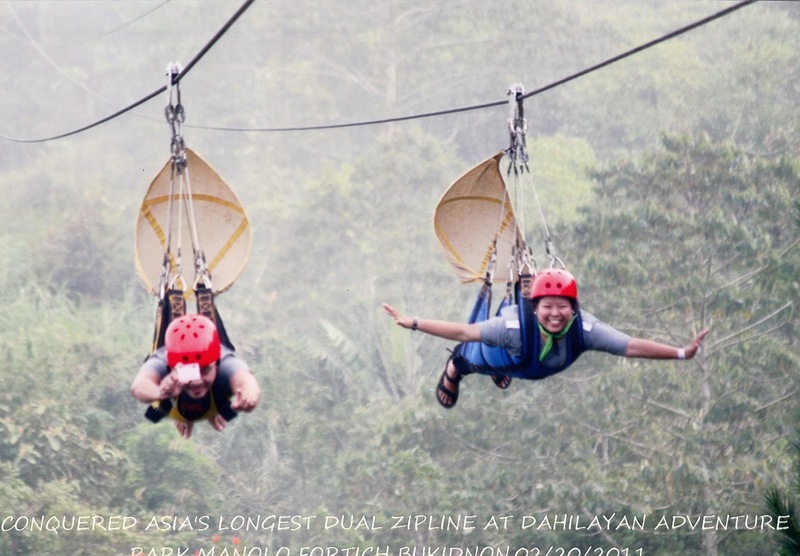 I went to Bukidnon Province last February 20, 2011 to experience zipline. This was something I have never thought of doing but thinking about it lately, it made me feel excited. 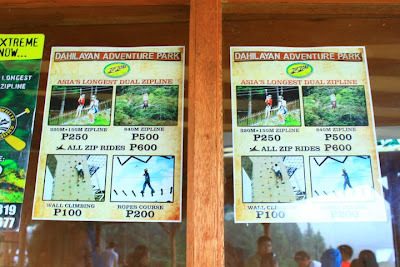 Two hours drive from Cagayan De Oro, we reached Dahilayan Adventure Park. The place itself was a wonder. Similar to Baguio, the weather was cool and there were so many pine trees. 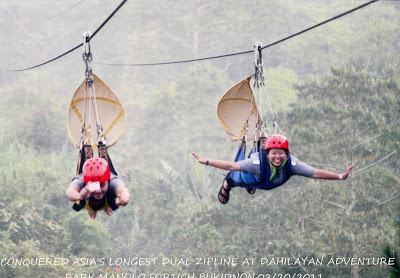 For an amount of 600 pesos, we get to do all the rides. You can do so many things though in the park like horseback riding, mountain climbing, ATV and more which I would do all those when I go back. Hmmm... Gab...do you really think we can do it? 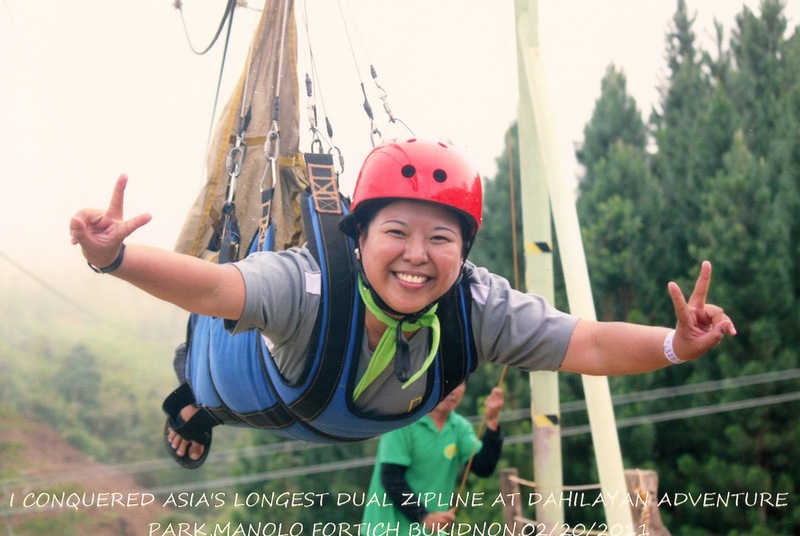 I successfully conquered ZIPZONE 840m at Asia's Longest Dual Cable Zipline at 4500ft. level of Mt. Kitanglad Range Natural Park in Brgy. Dahilayan, Manolo Fortich, Bukidnon Province, Philippines. 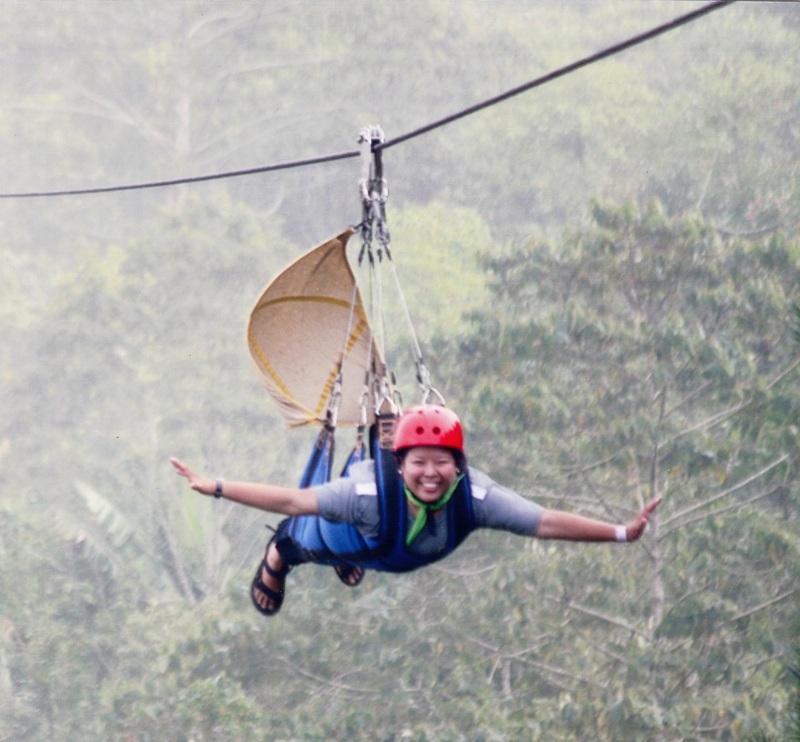 Isn't it frightening to do it knowing that you might fall from the zip? Though, I think it is really interesting. I hope I could try this one this year. 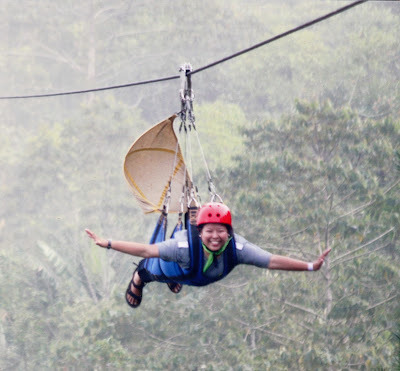 I have been longing to try zip lining from the first time I have heard about it. Hi Mariel. Nope. I don't think that way. Everytime I do something beyond the usual but is tested and highly recommended, I think positive. I always think that I would have FUN. If I let fear go before me then I won't be able to enjoy it which is not worth doing. You always have to be prepared emotionally if you're going to do something like this. I remember I did white water rafting in Cagayan De Oro. My heart was beating faster than the normal as I do not know how to swim. I said to myself I was going to have FUN and FUN is what I had. Guess what...I fell from the boat but had FUN. Until now, that experience makes me laugh everytime I think about it. There are shorter ziplines which Dahilayan Park has. Why don't you try it and see if it's for you. If it is....go for the 840m. The staff are also friendly and funny and next thing you'll know...you are already flying. Hope you share your experience too. Enjoy!